At Outdoors Experience we realize that in addition to quality products, exceptional service and quick delivery, you want to know that your valued patronage is given to a reputable and secure business. OutdoorsExperience.com is a secure site as noted by the McAfee Secure icon and we are a member the Better Business Bureau. We have been in business for nearly a decade with a loyal following of customers that we can easily call friends. Click on our testimonials tab to see how customers have rated their experience with us. We would love to hear from you too after you do business with us. 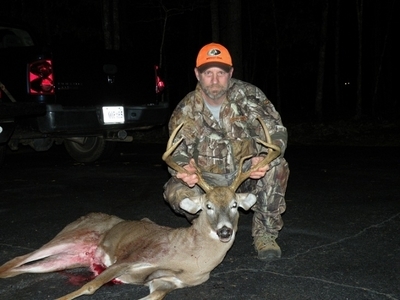 Outdoors Experience is owned and operated by a lifetime hunter who enjoyed sharing the sport with friends and family (including his own children) so much that he created his own hunting business. Unlike the big chain stores, Outdoors Experience differentiates itself by ensuring you�ll always be served by a knowledgeable, friendly, experienced archer who is excited to discuss how you can best experience the outdoors. We offer a full line of Compound Bows, Youth Compound Bows, Crossbows, and Crossbow Packages with Free Shipping and same day service. Your complete satisfaction with your purchase is our top priority.